As cliché as it may sound, words could never explain my unwavering appreciation for what basketball has done for me. Whatever effort and devotion I have poured into this sport I have been paid back tenfold. A ball and hoop have molded me into the person I am. My hoops journey has educated me on how to deal with heartbreak and that hard work is the key to success. On this road I have seen unbelievable examples of how not to act as a coach, a leader, a manager or even as a person. These experiences may have been harsh to undergo but it has molded me into a better father, husband, person and player. Basketball has paid for my college education and to top it off I have been allowed in my short life to see the world. What more can I say? I am 24 years old and feel blessed beyond belief to have seen and experienced such wonderful places (and not so wonderful). At Northern Arizona I was a history major and minored in anthropology so needless to say I enjoy this aspect of my job. Some of my favorite cities are Prague, Vienna, Ljubljana, Venice, Budapest, Berlin, Jerusalem and my current city of Helsinki. Each has different pace and style but in their own ways are equally impressive. Jerusalem and Venice are absolute must sees for an old world feel. Both cities are locked in time and I hope they stay there. Here are a few thoughts on traveling. It’s interesting to me how much you can tell about the government of a country just from staying a couple days, even more so when you’ve stayed for a few months. I loved the opportunity to see the well oiled machine of Germany, which I believe is a stellar example to the rest of the world (Finland is right behind). 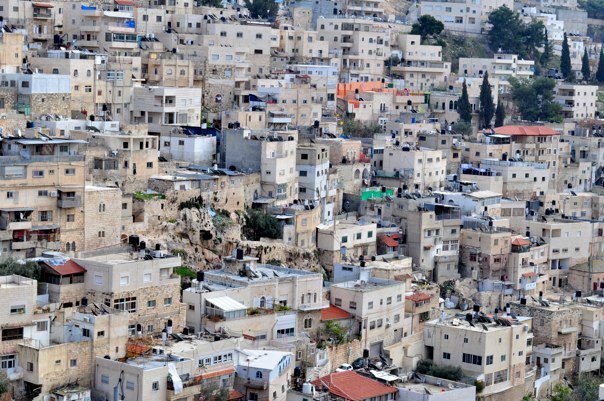 Israel seems stuck in a battle of rising to the highest of world standards but are held back from its obvious history and circumstances of their existence. 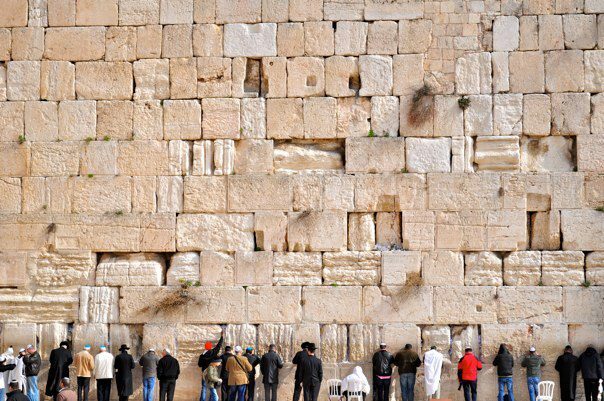 No matter what you have heard I highly recommend a trip to Israel. It’s an eye opening experience in many ways. Where I have been in Italy completely lives up to the hype. 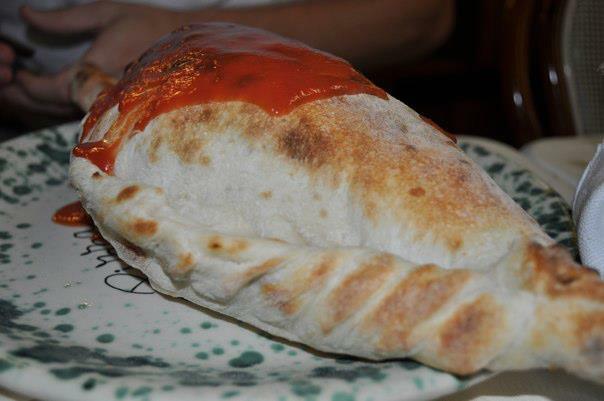 I had a calzone the size of a football and went swimming in the Mediterranean. If I had to pick a country to live in besides the USA it would be Germany, Finland or Slovenia. Slovenia thoroughly surprised me. 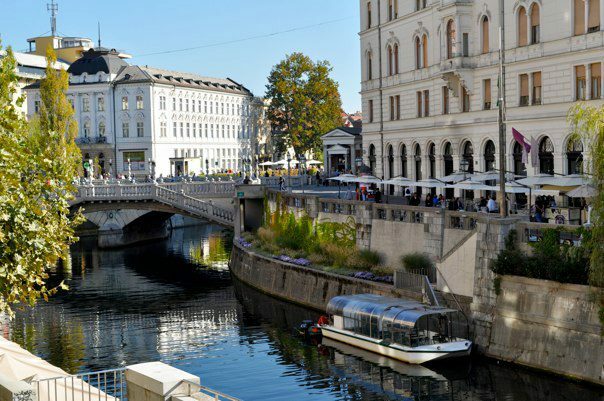 Ljubljana was quaint, beautiful and clean. Most of all what traveling has done is allowed me to step outside my USA box. You gain a unique perspective on your own life by seeing the lives of others. The people of the world are diverse and equally fascinating. The USA has so many lessons to learn from Europe and the world. The forefront of these for me is Germany’s recycling policies, Finland’s education system and the absolute necessity of health care reform. I was surprised the way the rest of the world views Americans. As an expatriate or even an average American you have the absolute responsibility to be an ambassador to our country, behave accordingly. Lastly on this subject please tv-land stop polluting the world with the garbage you allow out into the world. Others form opinions of America off of shows like Laguna Beach, scary thought (sorry for the rant). I hope everyone out here hooping overseas takes advantage of the opportunities to travel. 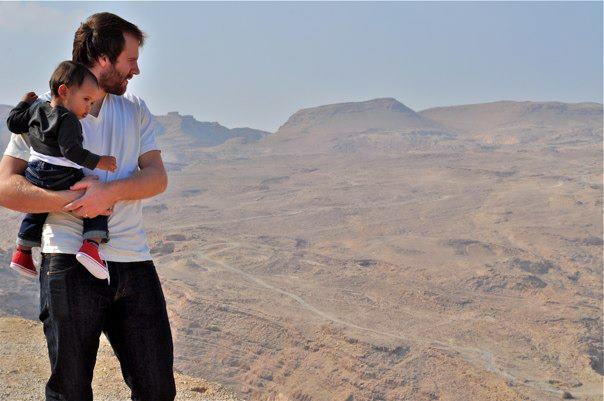 It is a tremendous perk to the occupation. Those who are thinking about coming over I absolutely recommend for at least a year no matter the contract offer. When will you ever have this chance again? And to all the up and comers take advantage of the opportunities the game brings. I promise if you work hard enough and believe in yourself you will be rewarded, in one way or another. Thank you basketball. Season update; My team (ToPo) has won 3 games in a row. We acquired a new import Justin Hawkins who had a solid debut with 12 points. In the last two games I had 15 points and 3 assists and 13 points and 3 assists on 10/12 from 2 and 2/7 from 3. Still room for improvement and can’t wait to really get things rolling here in Helsinki! Pictures courtesy of the beautiful Dominique Wilson. A ton has happened since my last post so I have some catching up to do. A few weeks after my last blog my family and I decided to leave Kaposvar in Hungary and pursue other opportunities for reasons I’ll explain in a later blog. We arrived here in Finland Jan 22nd and are just now getting settled in and comfortable in our new life in Helsinki. There are very striking differences from Hungary to Finland both in lifestyle, people and the style of basketball. The biggest difference can be noticed immediately after getting off the plane, the weather. This was to be expected but is not as big of a deal as I thought. As long as you layer up and have a good coat it’s not a problem at all. Today was -15 Celsius and my wife and two kids did just fine getting around the city. Nearly everyone in Finland speaks English. I read in an article that 90% of the people in Helsinki speak English. That is pretty impressive. They have a very good economy, education system and everything seems very modern. To an American Finland is great. The local stores have all of my favorite American food Mt. Dew, Peanut Butter, Doritos and even the impossible to find Ranch. My only complaint is the cost of living. Everything in Helsinki is expensive and that’s not even considering the exchange rate from Euro to Dollar. A small example was a 16 ounce bottle of coke at the gas station was 2.50 Euro. That means it was $3.29 for a coke. Huh? I highly recommend Finland to professional hoopers, atleast from what I’ve seen so far. Of course, I am in Helsinki. The style of play here is also much different. Everyone asks me what is a better league Hungary or Finland. Generally they are considered the same from the people I’ve talked to but I think there is a big difference. Hungary has a ton of good big men and is a very physical league. The refs really let things go and the games can easily turn into a slugfest. Finland is the complete opposite. The refs are super touchy so I am having to shed all my bad handing checking habits I’ve developed over the last few years. Finns also play extremely hard and so far seem to be very organized. I may form different opinions by the end of the year but these are my first impressions. I’m very excited to be here in ToPo. The city is great, the people are very friendly and my team has a ton of potential. I struggled adjusting to the style of the refs and just getting comfortable my first few games but we finally got a much needed win tonight. Also, best of luck to my former teammates in Kaposvar, keep on keeping on. I know this was a very short blog but I was necessary. Very soon I will explain the whole Hungary situation and share some of my thoughts on my favorite perk of this job, seeing the world. The basketball world is a small one. Every new teammate seems to know someone you do. Whether it’s a college teammate or someone you played with in high school you can usually come across a common person that has crossed your paths. This can be a great advantage for every hooper in landing your next job or gaining information on a country or team. The vast network that connects us all is a powerful tool that should be harnessed by every player. It’s all about networking. I try and help out any player that has crossed my path and gained my respect. If I hear of a job or my team needs a player, Ill do my best to track down someone. So far I have been able to get my college teammate Stephen Sir (195-G-82, college: N.Arizona) on my team in Germany (the best shooter I have ever played with or seen) and now my friend Nik Raivio(192-G-86, agency: Priority Sports, college: Portland) on my current team, Kaposvari KK. We all need a shot, our chance, the big break. If you are in the position to help a hooper you respect, you should do so. Wouldn’t you want someone to do the same for you? This year I am fortunate enough to play with two other Washingtonians. I myself played for Mark Morris High School in Longview, WA while Nik Raivio played for Mountain View in Vancouver, WA and Michael Fey (213-F/C-83, college: UCLA) played for Capital High School in Olympia, WA. Tell me when that has happened before? Three players from the same state all on the same team is crazy. Olympia is only an hour drive from Longview and Vancouver is only 30 minutes. Now we are all hooping in a little city in Hungary. Mike and Nik can ball too, check out their stats. Since my last post we won a tough overtime game where I had 33 point and 6 assists, Nik had 26 points and 5 rebounds, Mike 17 points and 10 rebounds. Not too shabby for the Great Northwest. The victory put us in position to move up to 5th but unfortunately we lost to Falco on the 28th. We are tied for 6th and ready to make a run the second half of the season. Heads Up: We are 6-2 since Mr. Fey showed up. My immediate network is killing overseas right now; Ruben Boykin (201-F-85, college: N.Arizona) (Greece A1), Kyle Landry (207-C/F-86, college: N.Arizona) (Russia) and Stephen Sirall groomsmen in my wedding and putting in work. My other friends and former Lumberjacks Zarko Comagic (201-F-85, college: N.Arizona) (Poland), Kristian Kuhn (208-C-87, college:N.Arizona) (Germany), Cameron Jones (193-G-89, college: N.Arizona) (NBDL), and Mike Trinh. Omar Krayem (185-G-86, college: Cal.Baptist) (Sweden), Longview legend and LCC star in Sweden averaging 20 pts and 6 assists. Kurt Cunningham (205-C/F-87, college: Boise St.) (France) and Daniel Werner (203-F-87, college: Florida) (Italy) from last years team also moved up to great leagues and are showing they belong in the top leagues in Europe. All these players are in high places and know GMs, agents and coaches throughout each league. These are all people I have played with. I didn’t even mention any of the ones I have played against. Send your video out and have your friends put in a good word. What’s the worst that could happen? This blog may seem random but there is a point; use your network to better yourself and help your friends. Not every agent can be trusted and not everyone will be honest about the quality and legitimacy of the team/country you’re going to. Before getting yourself in a bad position ask someone who has been there before if it’s a good idea. There are MANY things that you should take into account before making a decision on where you’re going, not just dollar signs. Veterans have seen most of Europe so don’t be afraid to ask. Facebook and other social media platforms are a great way to connect with players and agents. Use all the tools necessary to give you the best chance at a good job. Lastly, you should introduce yourself to as many agents and coaches as possible. You never know where your next job may come from. The world of European professional basketball is not at all what is seems. From the outside it is only the glamour of seeing the world, making tax free money and playing the sport that we all love for a living. While every bit of that is true, the constant grind and sheer turmoil that takes place over here can be hard to deal with. Throw in a wife and two kids and you’ve made a very volatile situation. I have a daily fight to become better as a player and a person and I hope with this blog you can follow my journey. A little about myself, I am Josh Wilson a Northern Arizona University graduate, where I am the school’s all-time assist leader. My dreams to play European basketball almost ended with an injury plagued senior season that was cut short by a broken foot. I rehabbed hard for three months to prepare for NBA workouts that my agent had lined up for me and I hoped would get my goals back on track. Fate had other plans though as weeks before my workouts I stepped on a foot and broke the same bone for the second time. Needless to say I was a little stressed about my chances to make it across the pond. I had surgery in July and wasn’t cleared until mid-August. I toyed with playing in Qatar and few other places but failed to have any solid interest. Then in early September I got a call from Erdgas Ehingen Ursingshule in Germany. I was only a few weeks out of a cast but they were willing to take a chance on me and I couldn’t have been more grateful. In my second game, with plastic cast like ankle braces, I managed to score 29 points after not playing a game for 7 months. I finished the year averaging 14.5 ppg and a third best in league 6 assists. The next summer I had some big changes in my life. I married my beautiful wife in July and became a father to her amazing 2 year old daughter. Lucky for us we found a team in mid-July which made for a much needed stress free summer (basketball-wise). I suited up in the fall for my current team Kaposvari Kosarlobda Klub here in Hungary. We fought some tough battles as a team both in games and internally as a team. I personally put together one of the best season of my life. I finally had the green light that every hooper is looking for and put together 19.5 PPG to go along with 4 assists and 4 rebounds. In early October a posted a career high 43 points and a much needed win for our team. We fought hard to post what seems like an insignificant 10-16 record. Not making the playoffs was a first for me in my career and left a very sour taste in my mouth. Luckily the year was sweetened by the birth of my son on February 21, 2011 in Budapest, Hungary. This summer was jam packed as I finish my Masters in Business Administration and opened the doors to my basketball academy Roots Basketball, LLC. I did my best to juggle providing for my family and preparing myself for the upcoming season. As almost all professional basketball players know the market this summer was ROUGH. The NBA lockout and current conditions of the financial markets around the world really did damage. With offers from Israel, Poland, Austria, Hungary and Macedonia I was one of the lucky ones. After a long drawn out process I decided to return to my club here in Hungary. No one matched their offer and we figured we’d enjoy the benefits of knowing the situation. So far this seems to be the right decision. After a rough start we managed to get on track and win 5 of our last 6 games. I am currently averaging 17 PPG to go a long with 6.2 assists (2nd in league). Hopefully my team can keep up and improve on our current pace. We have all the tools to be a great team and with hard work I know we’ll make some noise here in Hungary. I have been fortunate enough in my time in Europe to see places like Venice, Prague, Vienna, Budapest, Berlin and Bratislava. I have had the unique experience of having my son born in a foreign country. I am also deeply rooted in a battle to keep playing the sport I love for a living while maintaining what’s best for my family. Hopefully these unique experiences and the daily happiness/struggles of my life as a professional basketball will make for some quality reading for the good folks here at Eurobasket. All of us hoopers have fought hard to get to where we are and have our hoop dreams come true. I am proud to be able to share these experiences and thank Eurobasket for this opportunity. If you want to know more about me check out my website www.joshwilsonbasketball.com or follow me on twitter @jdubball21. Much more to come. The summer is the most important time for a professional basketball player. This is the time when you get to become the player you want to be. If you pay homage to basketball logging in gym hours you will surely be rewarded. As a professional you do not have the luxury of not improving. No matter who you are if you don’t stayon top of your game you will be cut, replaced, and possible never get the chance to play again. It’s a very competitive market and you have to fight tooth and nail for every job. It’s rough, if you don’t believe me just look at Allen Iverson stats on eurobasket.com. The overseas game is no walk in the park. I am very particular and passionate about how I spend my summer time in the gym. A lot of “hoopers” think just by simply walking in the gym and shooting some random shots they’re working on their game. Maybe if you rely on your god given talent it is enough but if you want to realize your full potential you will never get there this way. When the season ends I immediately begin to analyze my game. I take a hard look at my weaknesses and where I can improve and tailor my workouts to improve them. This summer I had three main goals, lower my turnovers, improve my one on one skills and develop my left hand. This meant a ton of ball handling drills and working on footwork to create distance from the defender. By working on specific things you improve much faster than by working on everything in general. You must keep your entire game sharp but progress in weak areas. The typical summer day for me is usually two basketball workouts and one weightlifting or stretching workout. The first involves waking up at 6 a.m and working out with my longtime friend and mentor Roosevelt Smith Jr. Together we have sculpted my game into what it is now and will continue to do until I retire. We start out with a lay-up drill called “Mikans” after the NBA legend. Here you work on finishing at the hoop. Next I go to form shooting in close and work my way out. Usually we throw in ball handling with form shooting. Back pedaling dribbling, crossing over, through the legs, then a quick pull up into working on your form. After I’m done with this we work on the specific aspects. This summer it was coming off pick and roll and attacking the big man. As a point guard I have to learn how to be ready to split the screen, drag the big man out, attack the hoop if the guard is late, or pull up if he goes under the screen. By working on each specific situation I am prepared when it comes up in a game. Roosevelt and I usually shoot a ton of shots in the morning, we always have. After my workout is done I shoot anywhere from 500-1,000 shots. My second workout is ball handling, passing, and free throws. These are things I can do by myself. Two ball drills both stationary and moving are a great way to work out both hands simultaneously. I like to work on attacking the hoop full speed and make a move. Usually in a series of moves, in and out, crossover, through the legs behind the back, then use the counter for each, in and out cross, double crossover etc. Passing is something almost everyone doesn’t works on. You would be shocked at how many players can’t pass with their weak hand. I take great pride in passing and love any and every passing drill. My favorite is joggling three balls off the wall. It’s a very challenging drill but that’s what makes it fun. I use the wall when I’m by myself for all the passing drills. I’m sure for some people this might not be that interesting but my goal is to let you in on the life of professional basketball player, and this is an essential part. For any player who wishes to be great you must work on your game. Working on my game as I want to is what makes summer my favorite time of year. Another reason why the summer is my favorite time is because it’s when most overseas players are free agents and you get to go through process of finding your next team. I have an agent who puts my name out there and teams who are looking for a point guard may contact them if they like my profile. I have a hard time sitting around and waiting so I usually do what I can to help. I work on updating highlight tapes, game film, and anything else that may help my chances. My website has helped tremendously as teams have one easy place to find information on me and watch all my game film. I send out my information to every team email I can get ahold of. You never know if that one email can get you your next job. 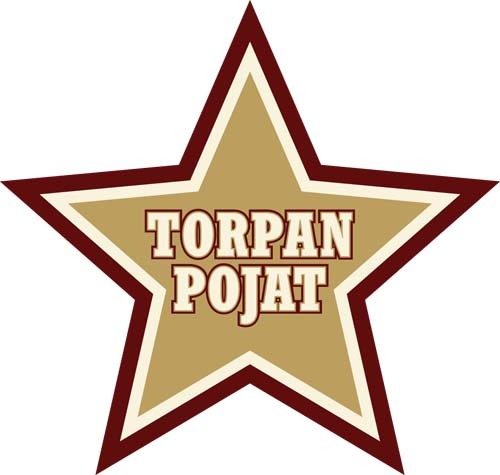 This summer I had a few interested teams but ended up getting my offer from Kaposvar here in Hungary’s first division in late July early August. So far we have lost more games than I would have liked early on but are now in a great position to win some games. I am playing with some great Americans, Dan Werner from the University of Florida and Kurt Cunningham from Boise State. We have the tools to put together a great run and I am confident that with hard work and luck we’ll make some noise in Hungary. I would like to think that my summer has paid off. I worked relentlessly and I think came away a better player. I moved up to a much higher league and have improved my average to 20.4 points per game and scored a league high 43 points in early November. I am healthy and playing the basketball of my life. I know this is because of my time in the gym. Brooks Robinson said “If your not practicing, somebody else is, somewhere, and he’ll be ready to take your job.” Watch out. If you want to see highlights of my 43 point game go to http://www.youtube.com/watch?v=KpUxKrFawTk. You can also learn more about me by visiting my website www.joshwilsonbasketball.com or check out more of my game on YouTube, Germany highlight tape 2009-2010 http://www.youtube.com/watch?v=etkKMYs4F4s . After finishing my last blog I hoped on my last flight from Warsaw to Budapest and drove a two hour drive to my new home in Kaposvar, Hungary. My family and I have just settled into our new home and everything is great so far. I was on a two week tryout period and have successfully made the team for this season. My goal is to catch everyone up to speed on what’s going on in Hungary. I have a ton of interesting stuff to write about not only from a basketball standpoint but everything pertaining to life as an expatriate. My wife and I just found out that we are having a boy this March and I couldn’t be more excited! I think it will make for some great writing material. A common question I often get is what is the average day like for an overseas professional basketball player? While I can’t answer for everyone I can make an attempt to paint a picture of what my day was like in Germany and now here in Hungary. Typically you have two practices a day, one in the morning and one a night. You usually lift weights sometime in between and that’s all your basketball obligations for the day. So that might take up oh, 4-6 hours. That leaves around 8 hours to do whatever you feel like. In Germany sometimes we’d only have 1 practice a day and weights on your own so I was really not busy. This can actually be a huge problem for guys coming from college. College is unbelievably hard. You go from 8am to 10pm everyday nonstop. So going from that to the pros leaves you a little… BORED. Some guys handle it well, some don’t. Spare time for some usually entails XBOX, movies, Skype, and lots of Facebook. I’m guilty of movies and maybe sometimes Facebook but I’m not really a fan of the rest. With my experiences here practices are great, the perfect amount of time. You get in work hard but don’t feel completely drained. This is important for me personally because I like to feel that I still have the energy to work on things on my own. Keep my shot hitch free and try to sharpen my ball handling skills. In college it’s near impossible to get in that extra work. You have rehab, a test in the morning, and you have to get to the cafeteria before it closes. I think college coaches would be wise to chill out on being so crazy. Your players need to be rested and have the opportunity to improve themselves because they want to not because you forced them to. There is a huge psychological advantage to working hard and getting better because you want to not because you were told to. In the pros if you want to make more money and move up you have to do well. The only way I know how to do that is by practicing. I’m thankful I’ve been in two places in the pro’s that allow me to do this. I try to get out of the house and walk around as much as possible. It usually ends up being an interesting story. On several occasions I’ve been stopped and talked to for what seems like hours. I still have no idea what they were getting at. They usually end up mad as I said no sprechen deutsch. It’s amazing how well you can communicate without having a clue what the other person is saying. Lots of pointing usually gets the trick done in about any store. My favorite part of having some free time is seeing all the beautiful sites of Europe. Last year my manager Nico took me on trips to The Cinderella Castle (the one Disney is modeled after) in southeast Germany, Berlin, and the Dachau concentration camp. As a history major in college I am constantly blown away at the sites and history. In Ehingen I was driving one day and parked in front of this little building downtown that said it was built in 1692. That one insignificant building was older than the United States. Hard to imagine. I think the hardest part about it for most Americans is not the basketball practices or games. Not your coach or teammates. But when you’re here by yourself sometimes you feel entirely alone. This is especially true in the beginning. You don’t really know your teammates well enough to kick it with and you have all this time that you are not use to. You can’t always call back home because the time difference, most people are at work or school. It can be a hard thing so far from home. My wife and I found out the hard way that there is only so much time you can spend starring at a computer. I guess my advice to anyone over here who feels that way… get married. Alright well maybe that’s a little far but it’s been awesome having my wife with me. I hang out with her and my daughter all day go play hoops twice for a couple hours and come back to a home a cooked meal. Pretty sweet. It’s much better than last year’s frozen pizzas, peanut butter and jellies and endless amount of pasta (the only thing I know how to cook). I personally try to take advantage of the spare time. With technology now anyone can go to school for about anything from anywhere. I am currently working on a Masters in Business Administration and very slowly on a Masters in Education. I like moving toward something and I know basketball won’t last forever. Going to school now works great for me. Other than basketball, school, hanging with the family, and adventuring out, I read and watch movies. I don’t think it can get much better than that. I’m not sure if that gives the best image of overseas hoopers but it’s what I do daily. I love my job. I finished out last year averaging 14.6 points and dishing out 6.0 assists a game. My team finished in fourth place two spots away from moving up a division. I would have loved to have been a part of giving Ehingen the chance to play at a higher level but we fell just short. I have nothing but good things to say about the Ehingen Steeples program and I wish them the best. I know they’ll move up to Pro A real soon. In my next blog I’ll let you know about my summer maybe some of my workouts and everything leading up to coming to Hungary. First and foremost I hope everyone can forgive me for my absence the last few months. Since my last post I’ve planned a wedding, married my beautiful wife, went on my honeymoon, had my masters finals, found out my wife and I are going to have a baby, and signed a new deal to go to the first division in Hungary. Between all of this I still had to find the time to try and stay in shape. So, needless to say I’ve been a little busy. Here on out I will do my best to keep everyone up to date, which means I have a lot of catching up to do. I left you last boarding my flight to Ehingen, Germany. I was completely unsure what would happen next. I hadn’t played basketball in around 7 months because of my broken foot and constant rolled ankles. I was not even close to in shape but knew no matter what I had to try. Ehingen was gracious enough to be patient with me knowing the circumstances that I signed under. Looking back on it, signing with them was the best possible situation for me. This is especially true considering one week before that I was a phone call away from signing in Qatar. With a swollen ankle I boarded my flight to Germany and began my professional basketball career. I had never been to another country or even experienced another culture (besides going to a Ryan’s Buffett outside of Bowling Green, Kentucky). I was about to experience a series of first’s. My first experience with the German language was with the flight attendants in the crisp white, blue, and yellow Lufthansa uniforms. Being a history major in college I expected the language to be harsh and choppy but I think I just watched too many of Hitler’s video reels. Living in America my whole life was like living in a little comfortable box. Stepping outside of it and hearing the many languages spoken on the flight alone was an eye opening experience. Traveling and experiencing another culture helps you to shape and understand your own. Interacting on the flight was the first real eye opener. For instance I thought that hardly anyone would speak English in Europe, but instead almost everyone did. Even arriving in Germany every single one of my teammates and coaches not only spoke English but spoke well. In school they were required to take 7 years of English, 5 years of French, and I think 3 of another. Ya, I took 2 years of Spanish so no habla espanol besides juego balencesto. The trip was a long 19 hours of travel, Portland to LA, LA to Frankfurt, Frankfurt to Stuttgart, and then drove the hour to Ehingen. I arrived in the afternoon and was dead tired. After arriving I expected to go to the hotel and rest but instead I went straight to the gym for practice. If you have ever traveled on a plane for a long period of time you know the effect it can have on you. Now imagine immediately having to perform at a high level because the first practice is probably the most important. Most people don’t know that often contracts signed in Europe have a tryout period. The majority of times they haven’t seen you play in person and they have a try out period to protect themselves. So if you practice like crap the first practice or the first week you’ll be headed home. With this is in the back of my head I came out and practiced as hard as I could. My worst fear was to get sent home and have to begin a “real life”. With the current economy many teams don’t have the luxury to pay for you to come to training camp a month early. This means that you practice for a week (if you’re lucky) and are expected to perform rust free. You must have the discipline to prepare on your own and get in shape before your arrival or again you will be sent home. My first game wasn’t the greatest, we lost by one and I had too many turnovers. After not playing for 7 months I was just happy to make it through the 36 minutes I played without rolling my ankle again. I was lucky to be on a team where they understood my situation, most would not be. To me it was still very nerve racking to underperform in my first game. Losing just doesn’t sit well with me period, especially when someone is paying you to win games. The next game we played one of the top teams in our league NBC. It was our first home game and I knew it would be key if I wanted to keep my job. With the pressure on I managed to score 29 points and have 6 assists. We won. The first part is the hardest. You are doing so many things at the same time. You have to adjust to the culture and your surroundings, get use to leaving everyone you love behind, perform under extreme pressure, learn all the plays, and , try figure out why the heck milk isn’t in the fridge at the grocery stores. These are things that can make it difficult for an American hooper overseas. Most of them have an extremely naïve attitude heading into it. For anyone who may be playing or hopes to play overseas the best way to go into it is to know you’re not going to be a millionaire as a rookie, make sure you’re in shape, try to study the culture before you go, and work as hard as you possibly can. As an American you are an ambassador to our country and it is your responsibility to represent us well. Often when you meet someone it is the first time they have met an American. This means their image of Americans will be developed from how you carry yourself. The least you could do is treat the coaches and management with respect and work hard. After all they are paying you to play the game you love. Again I apologize for the tardiness but I promise to be more diligent in my blogs. I am currently in the Warsaw airport on my way to Kaposvar, Hungary. I can’t wait to tell you more about the rest of my experiences in Germany, how I got to Hungary, and all the details that will come from my new adventure. Editior’s Note: Josh Wilson, NAU’s All Time Assists Leader who just finished his rookie season in Germany, will be checking in with us over the next few weeks to provide a first hand account on all things involved with life as an overseas professional basektball player. It’s every hoopers dream to one day lace up the sneakers as a professional basketball player. You dream about it day and night and with every shot you take. To many this remains only a dream but for us lucky few it becomes a reality. My name is Josh Wilson and I am a professional basketball player. I grew up in Longview, WA in the Pacific Northwest. Yes, rain. This meant lots of time indoors. I became a gym rat. Anywhere I could get a game. Luckily my entire family had a love for sports especially basketball. We played everywhere, the church, the YMCA, in the neighborhood and in the living room. My brother and sister and I would put wire hangers in the closet door frame and use a balled up sock as a ball. If you got dunked on you’d get a door knob in the back. Being the youngest I had to scrap and fight for everything and I wouldn’t have had it any other way. My Dad believed in us and encouraged us to be the best we could be. If we ever lacked effort he would say “If you’re going do something, do it right”. This still rings in my head today. We were taught to do what’s right, work hard, believe in ourselves, and to never ever quit. I apply these lessons to all facets of my life. Without the constant guide and example of my Father and the unconditional love of my Mother I would not be near where I am today. In high school one thing became very clear to me. Hard work pays off. Although I never missed an open gym that doesn’t necessarily mean I was working hard. Sure I got better but rarely did I improve on my weaknesses. I’ll never forget when the light turned on. I was on the varsity team my sophomore year and was having a terrible start to the season. I was shooting terrible and averaging around seven points per game. My confidence was shot and I started to lose faith in myself. Every once in a while since I was twelve I would work out with Roosevelt Smith Jr. the Director of the YMCA and local basketball guru. I would go through his training but never bought in. After a dismal game of scoring only two points I went to Roosevelt for help. For a week I woke up in the morning at 5 a.m. to work with him before school. The next game I hit seven three’s and scored 32 points and never looked back. I completely bought into Roosevelt’s ideas and learned the most important lesson of my life. With hard work you can do anything. In the summer before my senior year I earned a scholarship to Northern Arizona University. I drove 2 hours every day to play on a Seattle AAU team, Emerald City Basketball Academy. NAU spotted me in the Las Vegas Big Time tournament where I was an all tournament selection averaging 24 points per game and leading all players in scoring from the state of Washington. After arriving at NAU I quickly fell in love with being a pure point guard. I was the only player in NCAA basketball to be among the top 40 in assists for my first three seasons, led the league in assists every year, and broke NAU’s single season and career assist record before my senior season.Entering my senior year I was positioned to become the Big Sky’s all-time assist leader. This was a feat that I never accomplished. Instead, my senior year was plagued with injury and turned into the worst year of my life. I suffered from severe patellar tendonitis, iliopsoas tendonitis, severe sprained ankle, and I ended the season with a broken right foot. I tried to play through it all but I wasn’t near 100%. I had never missed a game in my life and was about to start. I played against Arizona with a severe ankle sprain to continue my streak but was stopped dead in my tracks at Eastern Washington. I broke my foot coming down from a rebound in 5 minute of the game. I managed to play another 20 minutes and hit a couple three’s but that’s where I ended my college career. Needless to say I was worried about whether my professional dreams had ended that night in Cheney, Washington. I had a terrible senior year and to make it worse I broke my foot a second time that summer. I was forced to sit out athletically and had to be more creative in applying “through hard work you can accomplish anything”. Instead of being in a gym I got on the computer. My brother in law and I built a website – JoshWilsonBasketball.com – to market my college career. I googled and searched for any and every agent and team I could find and emailed them my information. My website has highlights, full games, and stats from my career so anyone interested could immediately see if I was for them. I was fortunate enough to gain some interest from agents and my website eventually landed me a job for Erdgas Ehingen/ Urspringschule in Germany’s Pro B league. I was cleared to play again in the middle of August and played my first professional game out of shape and extremely rusty in mid September. I was offered a contract and was on a flight two weeks later. The experience of stepping onto that flight injured, out of shape, by myself and completely unsure of what was ahead is something I will never forget. Stay tuned for future blogs about playing overseas, my workouts, my experiences, and my life. 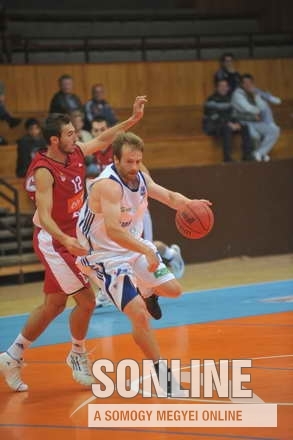 My website: JoshWilson.com, my 2009-10 Highlight Tape, as well as my Eurobasket Player Profile.